Harvest food daily from your own garden. 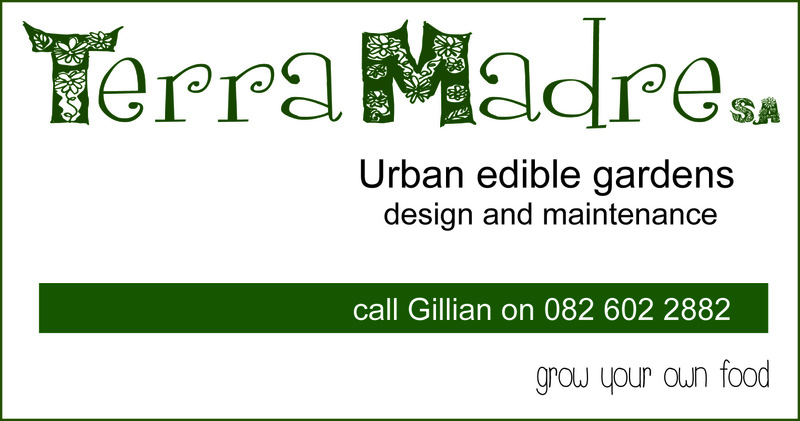 We design, install and maintain edible gardens for homes, communities projects and business in the garden route. I have been growing my own organic produce for many years because I couldn’t find a decent, consistent supply. As a Specialised Kinesiologist I see many people with all sorts of symptoms and illnesses due to toxicity from what we eat and the environment we live in. Six years ago I started following permaculture principles for growing food but also as a way of life. In 2012 I obtained my PDC (Permaculture Design Certificate) and now assist in designing, implementing and maintaining other people’s food garden gardens. I am also working on a few community projects with the hopes that they will be able to produce most of their own food and be more sustainable. Take a look on our Facebook page. I am also keen to establish a co-operative of organic growers in Eden district. If you have some available land and want to get involved please contact me. Please get in touch if you are ready to take the next step and grow your own food but are needing some assistance. Remember, fruit and vegetables can be incorporated into your existing gardens. There’s no dates on your post, so I don’t know how old it is. But there are plenty of people out there who think like you do, join one of the communities here. I’ve added your website to mine, yours is the first Pretoria one I’ve found, yay! Do you know of anyone else P-town doing this kind of thing? Thanks for getting in touch. Like what you are doing.